Dive into an exciting sci-fi story where secrecy, treason and innocence will open the doors to a reality as horrible as it is merciless! Set in an abandoned railway complex, the front for a top-secret biotechnology lab, a security guard and a young doctor are the only survivors among thousands of bloodthirsty creatures. 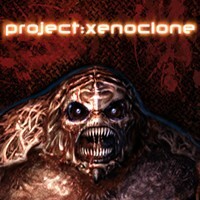 Guide them through levels packed with relentless action and uncover the shady truth about Project Xenoclone. It's one intensely unique 3D shooter experience! query: INSERT INTO accesslog (title, path, url, hostname, uid, timestamp) values('Project Xenoclone', 'node/1500', '', '3.80.224.52', 0, 1556143750) in /home/surelion/public_html/drupal-4.6/includes/database.mysql.inc on line 66.